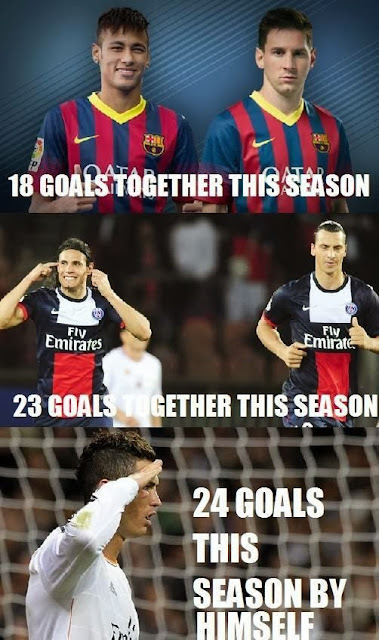 Cristiano Ronaldo is in fantastic form!!! In 17 games for his club this season, Ronaldo has 24 goals and 6 assists to his name. Ronaldo has now scored 25 career hat-tricks (23 for Madrid), while the Real Madrid star has now scored 60 goals in a calendar year for the 3rd year running. He is giving the answers on the field for real with these amazing run of form.